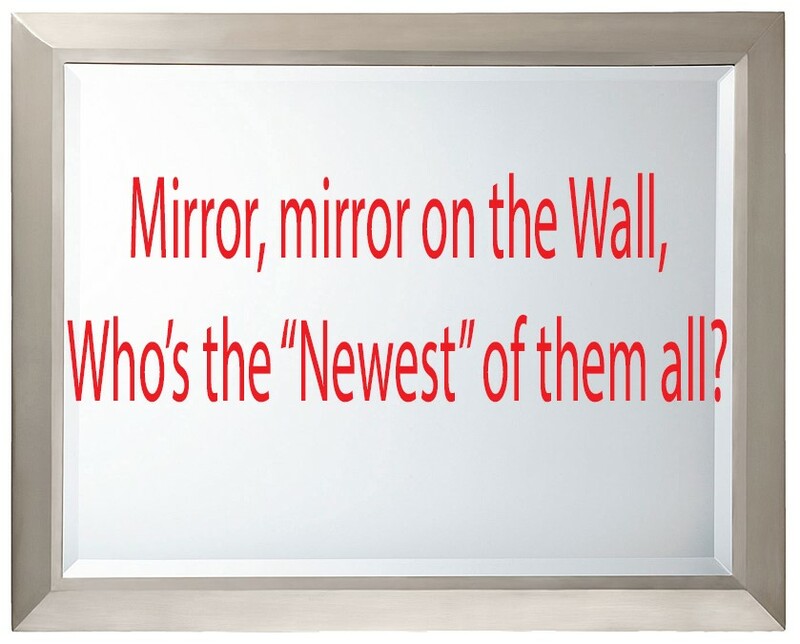 The NPO Strategic Mirror is a convenient tool for senior leaders of nonprofit organization to better understand how — or whether — the organization’s strategic planning and deployment are directly linked to outcomes and results that demonstrate improved mission and public purpose accomplishment. This strategic directions profiling and self-assessment resource is based on the self-renewing management model (Connors, 1997, 2001, 2014), and was most recently used by Norwich University as a tool to review and assess strategic planning by Vermont charitable-philanthopic-nonprofit organizations. The answers sought on the questionnaire are related to and focused on those management actions, activities, and competencies that senior NPO leaders have identified as contributing to their successes and those of their organizations. The NPO Strategic Mirror is a strategic directions profiling and self-assessment tool created by Dr. Tracy Connors based on the self-renewing management model (Connors, 1997/2001) and rankings provided by senior NPO practitioners during the Charitable-Philanthropic Organization Self-Renewing Management Model (C-POSRM) Study (Connors, 2014). The actual assessment can be completed in a few minutes by those who are familiar with the organization’s strategic plan and/or related materials. The resulting data can become the focus for analysis, and serve as a form of agenda for any meetings focused on the subject. The Strategic Mirror assessment and review process helped participating organizations to better understand their organization’s long-range vision, goals and objectives and how these are aligned with the operating environment. The data collected and developed during the assessments used a combination of both qualitative and quantitative methodologies. It is designed to provide macro level insights into the strategic planning process and documentation, and to do so in the three overarching management domains that represent the organization’ operating environment. The reviewer – external or internal to the organization – can make a determination about the presence of a management function or action, and the extent to which it seems to be effectively used within the planning process to improve effectiveness or efficiency. The reviewer then assigns their determination to a broad Likkert scale range to generate quantitative data that is then available for other useful purposes, e.g., basic statistical understandings. The data collected can help provide a broad measure of understanding about the use of these management actions and activities within the organization’s planning processes, how that use compares with other nonprofits, and how the organization’s use of these potential tools within its strategic planning process may change over time. C-NPO’s must improve and increase their organizational capacities in ways that are directly linked to outcomes and results that demonstrate improved mission and public purpose accomplishment. Strategic planning is one of the most critical competencies self-sustaining C-NPO’s attain and practice. However, the results and outcomes achieved as a result of an organization’s strategic planning and deployment will depend on the extent to which the plans reflect and incorporate those management actions, activities, and results that research has identified as among the strongest contributors to organizational performance improvement and mission fulfillment. “Views from a Strategic Mirror” is a research-based charitable-philanthropic organization self-assessment tool designed to help leaders, managers, and practitioners identify the extent to which strategic planning and related future-focused management processes reflect the incorporation of specific management actions and outcomes that are major contributors to overall organizational performance improvement in the three overarching management domains – Effectiveness, Efficiency, and Transformational Organization. VSM helps C-NPO leaders conveniently and quickly review and compare their organization’s strategic plan and related documents. The Q&A process provides a convenient reminder of the management actions and/or outcomes that have been strongly correlated to overall organizational performance and success by research and practice. The VSM provides the “mirror” that helps reflect the extent to which the planning process has included and focused on those management/leadership actions and outcomes that are closely associated with organizational performance improvement, and the extent to which the organization has incorporated those contributors to excellence and mission fulfillment into its plans and practices, and used them to define strategic results and outcomes. Recent discussions in national media, including the WSJ, have highlighted the undeniable need by our charitable organizations to significantly improve their effectiveness, efficiency, accountability and transparency (E/EAT). Some have framed the national dialogue for improved E/EAT as a choice or trade-off by charities between embracing societal values emphasizing more economical allocation and expenditure of public funds and charitable donations, versus compromising (by reduced or inferior human services delivery) more traditional charitable values (ethos) that place a higher value on public and human services missions. Choosing “more business-like” or “commercialism” over “charity,” is seen as dangerous by some sector leaders, threatening humanistic, traditional charitable core values. Such polarity framing represents a false dilemma. First, “business-like” as a metaphor for effectiveness and efficiency is contradicted daily in WSJ headlines. Second, the range of promising new business model options available for nonprofits is steadily growing. In fact, many nonprofits are developing and using new (hybrid) business models, adapted (not adopted) from both for-profit and public enterprises, offering improved E/EAT without abandoning traditional charitable values. Further, such models provide the additional flexibility needed to deal with the complexities of today’s VUCA (volatile, uncertain, complex and ambiguous) environments. Clearly, E/EAT pressures will continue as “society” asserts primacy for the “economy” core value. In any values conflict between society and organizations such as public charities allowed to operate within its physical or economic borders, society will ultimately prevail. America’s charities can wait to be forced into various modes of compliance based on external pressures, e.g., regulations or stipulations placed on resources; or, opt for self-directed, values-driven, internal compliance, e.g., adapting and using new business models improving E/EAT, while retaining essential organizational ethos. Such models will also reinforce another traditional charitable core value: excellence, sustained superior performance directed at public service mission fulfillment. Nonprofits can resolve potential conflict, fulfill their societal social contracts, and retain their essential ethos, by adapting and using those business models and strategies from all sectors that foster their continuing pursuit of excellence. National media coverage of new emerging NPO business models leading to excellence represents its own significant contribution to improving charitable E/EAT, and our national quality of life. Journalists, commentators, and even some researchers, tend to view national pressures on charities to improve Effectiveness, Efficiency, Accountability and Transparency (E/EAT), through the perspective of “them” versus “us.” Instead, a better understanding of this artificial polarity can be achieved by viewing the growing national mandates as “game changing,” prioritized strengthenings of several traditional core values within North American society. Simply stated, the polarity of views contrasts societal values for highly economical (cost-effective) allocation and expenditures of public funds and charitable donations, with charitable values placing higher value on public and human services missions. Overlooking a broader, values-based perspective, one incorporating the many commonalities between sectors, has led to a false dilemma perception for many charities of being forced to choose between societal values (“bang for the buck”) versus traditional charitable values (caring and doing good). Hurwit & Associates (2011) pointed out that accountability and transparency are now expected by funding organizations and donors and that have what the authors term “savvier consumers.” Most public and private sector donors and revenue sources expect and demand more for their charitable dollar. Individual donors increasingly want more accountability, control, or even active participation in how their charitable dollars are put to use. Significantly, more funding agencies, e.g., foundations and corporations, are requiring detailed financial reports, and reports outlining program results and benefits. We can expect to see more program evaluation, Carman (2007-2009) predicted, more performance measures, more outcomes and results assessments , and greater use of planning and evaluation approaches such as logic models. We can also expect to see more extensive external monitoring from government agencies, coupled with a greater focus on programs demonstrating results as defined by the funder. Consequently, many nonprofits will need to reevaluate the way they make operating and programming decisions, reflecting the influence of funding decisions made by donor and funder organizations that she suggests will tend to reward those organizations seen to be making better use of evaluation and performance information (continuous process improvement) in their efforts to improve human services delivery (Carman, 2007-2009). Continued funding cuts, King (2010) suggests, put some nonprofit organizations in jeopardy of having to close down or merge with another. What King may overlook or fail to consider is the considerable contribution toward organizational sustainability and survival made by a balanced financial management strategy, one that adopts as a priority establishing – and sustaining – a robust, broad-based, and multifaceted, revenue generating program. Nonprofits that eschew the rigors of an ongoing and multifaceted resource development program may find their original missions compromised by pressures to adjust the organization’s focus (“mission creep”) to meet the demands or inducements of a grantor or funding organization. Further, should the funding source fail to deliver the needed revenue, the nonprofit may indeed be facing a highly problematic and uncertain future. Nationwide, nearly 33,000 human services providers administered 200,000 government contracts and grants in 2009. Those funding sources are vital to human services needed by millions of Americans, and important to the nonprofits who provide those services based on those funds. A recent study by the Urban Institute – the National Study of Nonprofit-Government Contracting, State Profiles, illustrates the dangers for nonprofits of putting too many financial “eggs,” into the public funding basket. Key problems facing nonprofits were identified in this study, including: late payments, changes to contracts, complexity of application and reporting requirements, and insufficient payments. Whether large or small, well over half of all nonprofits experience problems with their publicly funded human services contracts and grants (Boris, de Leon, Roeger & Nikolova, 2010). Clearly, E/EAT pressures are likely to continue over time as “society” continues to assert primacy for the “economy” core value. In any values conflict between society, and an organization such as a public charity allowed to operate within its physical or economic borders, society can be expected to ultimately prevail. 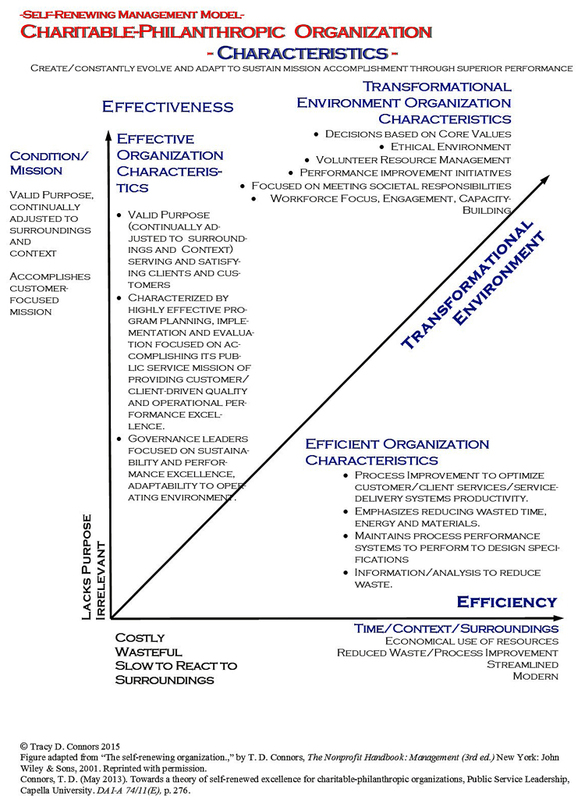 There are fundamentally two courses of action open to America’s charities: wait to be forced into various modes of compliance based on external pressures, e.g., regulations guidelines or requirements; or, opt for self-directed, values-driven, internal compliance, i.e., identifying and prioritizing organizational humanistic values supporting E/EAT, while retaining essential organizational ethos. Fortunately, those charities opting for a pro-active, values-driven E/EAT strategy can also preserve their ethos, and add to their sustainability through improved financial and performance management. Governance leaders of America’s charitable organizations face significant pressures to achieve greater effectiveness, efficiency, accountability, and transparency (E/EAT), much of it based on growing public perceptions and skepticism created by biased mass media coverage . Conflicting, confusing news and dialogue, typically polarized between calls for reform and innovation (controversy and conflict), versus alarmist threats to traditional charitable values, can best be understood as a values-driven debate characterized by Berger, Penna and Goldberg (2010) as the “battle for the soul of the nonprofit sector” (p. 1). Unbalanced, superficial news coverage of the nonprofit sector is also seen as cuing the public to support more regulation and law. Growing pressures on nonprofits to be more “businesslike,” can be seen as pressures to strengthen several traditional national core values, e.g., economy. However, commercialism is seen as dangerous by such sector leaders as Pablo Eisenberg, threatening such traditional charitable core values. Others, such as Sanders (2008), suggest the dialogue should change from dialectic and oppositional (a false dichotomy), to embrace the benefits to charitable mission fulfillment and ethos offered by integrating both business models. New, hybrid business-nonprofit business models are steadily expanding the operational and resource generation options available to nonprofits, and do not necessarily require abandoning traditional charitable values. Nonprofits that decide to pursue excellence can resolve potential conflict, fulfill their societal social contracts, and retain their essential ethos, by adapting and using those business models and strategies from both sectors that offer results achieving both economy and caring during the pursuit of sustained superior organizational performance. For most nonprofits, the way ahead should include adopting an individualized, values-focused strategy for excellence, one that also ensures sustained effectiveness, efficiency, public accountability, and operational transparency. Berger, K., Penna, R. M., & Goldberg, S. H. (2010, May 25). The battle for the soul of the nonprofit sector. In Philadelphia Social Innovations Journal (Issue 3) [Http://www.kenscommentary.org/2010/05/battle-for-soul-of-nonprofit-sector.html]. (Regional on-line journal.). Philadelphia Social Innovations Journal. Boris, E. T., De Leon, E., Roeger, K. L., & Nikolova, M. (2010, October). 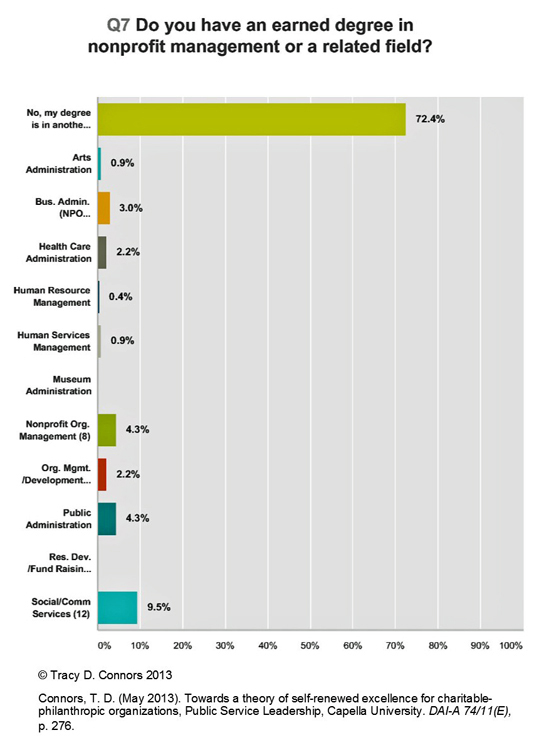 National study of nonprofit-government contracting [Http://www.urban.org/uploadedpdf/412227-National-Study-of-Nonprofit-Government.pdf]. On-line report). Urban Institute. Effectiveness is one of the three overarching management domains that define and characterize self-renewing organizations, the others including Efficiency and Transformational Organization. An effective organization, regardless of the sector in which it operates, has a valid purpose that is continually adjusted to its surroundings and context as it focuses on how to accomplish its public service, customer-focused mission. • Business results and mission fulfillment outcomes are the focus for program planning, process and process improvement activities, implementation and evaluation efforts directed at accomplishing its public service purpose through client-driven quality and operational performance excellence. • Governance leaders are focused on performance excellence, adaptability to the organization’s operating environment, and sustainable mission accomplishment. Know why (Customer/Client-Focused Outcomes, Satisfaction, and Engagement). Further, effective charitable-philanthropic organizations monitor their operating environment (Operations Focus; Public Relations), and stand ready to adjust their purpose or operations (Strategic Planning, Development, Deployment; Business Results; Leadership and Governance Outcomes; Decision-Making Methods) to ensure they are in tune with ever-changing operational environmental conditions (Assessment and Evaluation Methods; Marketing). Collectively, these actions and activities result in a strategy to achieve better performance and results (Program Implementation, Planning, Evaluation; Business Service/Process, and Workforce-Focused Outcomes; Services, Product and Process Outcomes; Financial and Market Outcomes). Effective voluntary organizations understand the value of the following leadership and management practices and emphasize their contributions to improved and sustained organization performance and results. • Customer Focus and Satisfaction as the foundation for setting priorities and focusing improvement activities. Results and trends in this area offer a means to determine the appropriate direction for improvement activities and initiatives. Effective organizations listen to and learn from their customers on a continuous basis, then use that intelligence to determine their current and near-term requirements and expectations. • Strategic planning is used to define and accomplish their customer-focused mission. Strategic planning to strengthen their customer-related, operational, and financial performance, to improve customer satisfaction. Planning is essential to help organization leaders use customer and operational requirements as inputs to setting strategic directions. Strategic planning guides ongoing decision-making, resource allocation, and organization-wide management. • Business Results as the focus for all processes and process improvement activities to assess its progress towards superior value of its offerings as viewed by customers and the marketplace, and towards superior organization performance reflected in productivity and effectiveness. • Governance leaders who understand the organization’s operational environment and what must be done to establish and maintain sustainability within that environment – and do so. C-PO executives rank various management actions and activities differently in their perceived ability to contribute to organizational effectiveness depending on such variables as the size and type of the organization, or the experience of the responding executive. For example, community-based charities, those with the fewest staff members and available resources for management support, ranked as their top five effectiveness components: mission and vision, community outreach, customer engagement, customer satisfaction, and customer-focused outcomes. Smaller charities, those operating with 10-50 employees, ranked as their top five effectiveness components: mission and vision, customer satisfaction, customer engagement, program implementation, and program planning. Larger charities, those with more than 50 employees, ranked as their top five effectiveness components: customer-focused outcomes as the strongest component of effectiveness. This was followed by program implementation, mission and vision, program evaluation, and assessment and evaluation methods. Regardless of their experience, charitable executives concurred that a focus on the organization’s mission and vision was the most important contributor to organizational effectiveness. Self-renewing models that align mission and purpose within ever-changing operating environments. Capacity-building focused on mission readiness and public purpose fulfillment. Change Leadership reflecting Purpose, Environment and Person (PEP). Competency-focused workforce professional preparation, development and training. America’s future quality of life will depend in large part on the ability of its more than one million charitable-philanthropic-nonprofit organizations to collectively provide a myriad of human services ranging from arts and education, to health, advocacy and social services. Sustaining our national quality of life in the face of expanding needs and dwindling resources will require significant improvements by our voluntary organizations in mission fulfillment, performance, productivity, and human services delivery. These voluntary organizations must deliver a vast range of human services in the face of ever-changing operating environments, compounded by growing demands for the social services needed to sustain our nation’s overall quality of life, and further complicated by growing calls for improved Effectiveness, Efficiency, Transparency and Accountability. New self-renewing models and methods. Embracing change that aligns them with their operating environments and fulfills their expanding public service missions – is a key to achieving and sustaining Effectiveness, Efficiency and Transformed Organizations. Capacity-building resulting mission readiness and public purpose fulfillment. Linking capacity-building to improved mission and public purpose fulfillment. Broadening the change leadership construct and model from its current focus on the Person, to include consideration of Purpose and Environment (PEP). Change leadership should be based on a variable mix of actions and traits needed by successful leaders such as Personal attributes and behaviors, but also on two other major factors, including: the nature of the Change (dimensions and complexities needed to advance the organization toward mission fulfillment), and the Environment/Situation (the organizational setting, environment and circumstances). Workforce Professional Preparation, Development and Training. Greatly expanded management education and training opportunities are needed for the voluntary sector workforce. 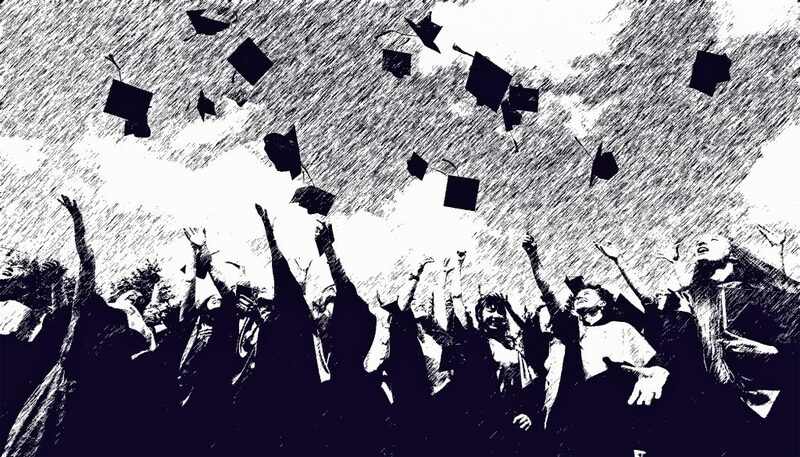 Moreover, these opportunities should be framed and focused on professional education, training and development that helps practitioners acquire those competencies identified as most useful and contributory to achieving – and sustaining – results and performance improvements reflecting gains in Effectiveness, Efficiency and Transformation – all of which will be required in ever greater measure to meet emerging national Quality of Life needs. The Self-Renewing Management Model identifies the three management domains that determine – and reflect – an organization’s ability to achieve its mission and to sustain its ability to do so in the face of ever-evolving operating environments. Staying “new” can be understood in terms of condition and surroundings or ambient: In Accord With Mission and Context). For example, an organization’s status or “condition” can be seen as its readiness to fulfill the mission(s) for which it exists. If an organization lacks purpose, or is not meeting its public purpose, it is tottering on the lowest state of mission-readiness. However, an organization that is customer focused and driven, and is meeting its public purposes, is fulfilling its Mission. The term “mission” refers to the overall function of an organization. The mission answers the question, “What is this organization attempting to accomplish?” The mission might define customers or markets served, distinctive or core competencies, or technologies used. ” “Mission creep”—the random accumulation of new goals and tasks as the organization follows funding (rather than its mission)—or to “mission shear”—direct and consistent pressure that pushes the organization systematically away from its mission and toward other interests. The term “vision” refers to the desired future state of your organization. The vision describes where the organization is headed, what it intends to be, or how it wishes to be perceived in the future.